Opinion | Is D.C. destined to be the domain of the well-to-do? Is D.C. destined to be the domain of the well-to-do? It’s no secret that Washington has become one of the most expensive U.S. cities in which to live. D.C. now ranks alongside the other costliest coastal-centric urban enclaves of New York, Boston, San Francisco, Los Angeles and Seattle. It takes a wad of cash to accommodate the accelerating expense of everything from housing to cocktails. 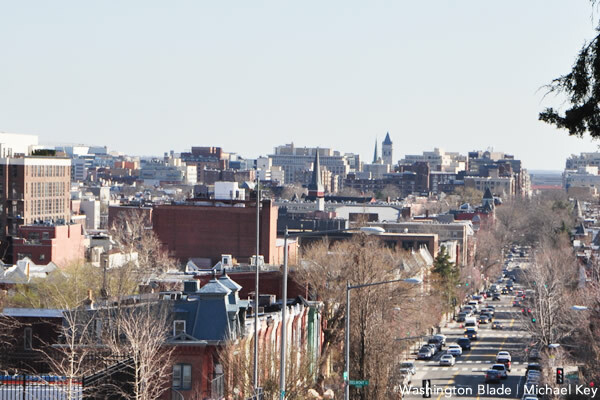 The latest U.S. Census Bureau report pegs the D.C. metro area, including Arlington and Alexandria in neighboring Virginia, as having the highest median household income in the country at a level 70 percent higher than the national average. You now need buckets of green to survive in the bluest of cities, and that price pinch is prompting primary professions in a range of industries nationally to look at locating in more money-modest Middle American cities. Places with dynamic cultures and attractive amenities but with more reasonable living costs and less pressurized living conditions. Middle-class millennials, households with children or those aspiring to become parents, and others desiring more manageable and less expensive environments are beginning to drive geographic diversification when companies look to locate. It’s a trend that is increasingly anticipated to reduce the attractiveness of currently popular metropolises, leaving behind disparate swaths of the ultra-prosperous and the very poor. Is D.C. destined to become the domain of only the well-to-do? Will Washington turn out to be a lifestyle destination for the rich, exacerbating the existing gap between those at the top and those at the bottom, while hollowing out good-wage but locally middle-income earners exiled to increasingly distant suburban areas or even elsewhere? D.C.’s population has grown significantly over the past several years, once averaging more than 1,000 new residents a month and reversing years of declining residency to add 100,000 net new arrivals in only 15 years. It was a dramatic comeback for a city that was broken and busted less than two decades ago, emerging from disastrous dysfunction and a years-long federal takeover of the District’s budget and operations. The city’s recovery was predicated on attracting low-demand, high-return new residents. People who would need fewer services but contribute more in taxes, as well as spur economic development and business growth through enhanced levels of discretionary spending. Only 3 percent of those new households came with kids in tow. Most of the rest neither needed, nor cared about, the dismal state of local public education. Nearly half of new households were childless millennials under 35 seeking well-paying professional careers and more than a quarter were over-55 “empty nesters” with no kids at home but possessing accumulated wealth and the assets of prior long-term homeownership. The rate of population growth has now begun to stall, however, noticeably declining over the past year. The profile of those moving to the nation’s capital has also changed, with well-heeled international in-flow becoming an increasingly substantial portion of new residents. Younger people have also stopped moving to the city in the numbers of recent times. As the demographic of new residents begins to skew even more toward wealthier denizens and higher-earning workers able to absorb the extraordinary cost of living in the nation’s capital, affordability will continue to be a primary factor in determining who arrives, and who remains, in town. The dilemma for elected officials is there’s very little they can do to substantially change these cost trajectories. They’re left to tinkering around the edges, albeit at great expense, and the crude methods and ineffective tools they favor to manipulate the marketplace produce nominal and often counterproductive results – especially at the bottom end. Local politicians want to appear able to affect affordability, both on the income and expense ends, but their ability to do so is much more limited than they’ll ever admit. D.C. has become a place best suited for those who can afford to fully enjoy its many assets and amenities. Over time, that will include fewer and fewer of those here now. Mark Lee has been such a great champion of the DC community for decades, including the 22 years I lived in DC (1985-2007). When I moved into Mount Pleasant in 1986, my one-bedroom English basement apartment cost $445/month. In 2000 I bought the one-bedroom condo on Florida Ave. & 18th Street NW that I had rented since 1992 for only $63.5K. By 2005, after I renovated it, the appraised value hit $395K. I couldn’t afford the refinanced mortgage payments. I’ll save the gory details of riding the early wave of foreclosures in 2007, but the good news is that was 10 years ago and it’s long since dropped off my credit history. When I have thought of possibly returning to DC, I quickly lose interest when I realize the tremendous salary I would need to earn simply to break even. So DC has become a nice place to visit, but a place I’m glad not to live anymore. Much like New York. I miss the close access to professional contacts, but I have realized I much prefer living in a place where the basic costs of living are much lower–and with that, much less pressure to work, work, work just to break even.